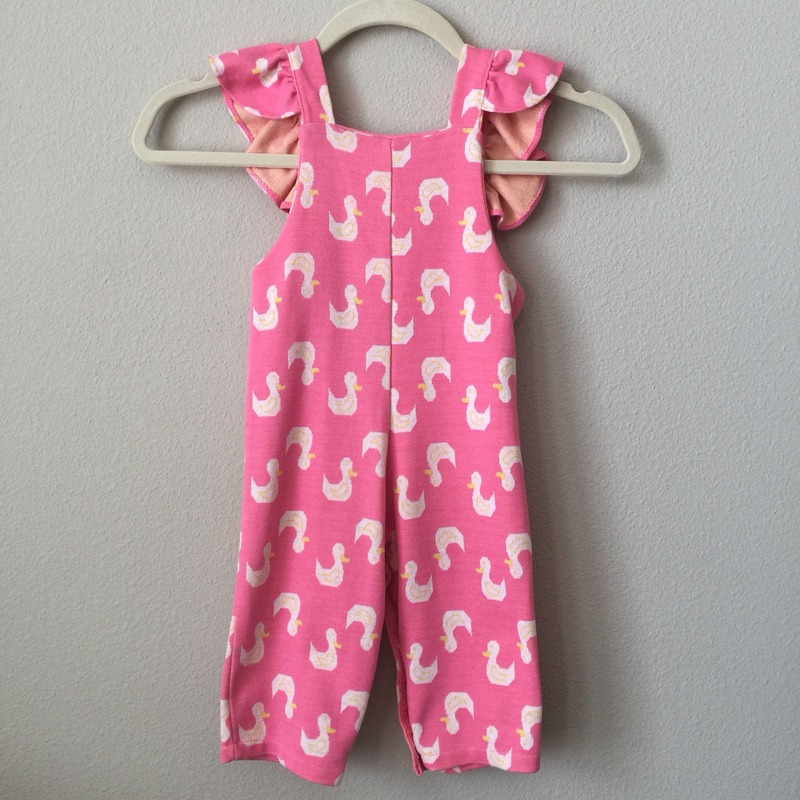 Super adorable toddler sunsuit overalls featuring pink background and cute duck print with ruffle straps. 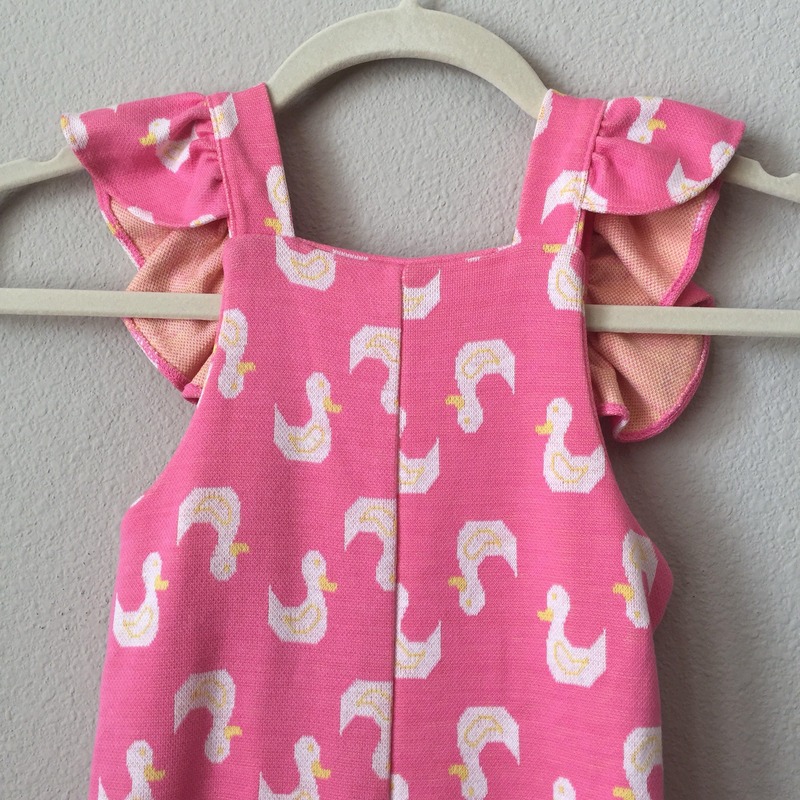 Marked size 2T. 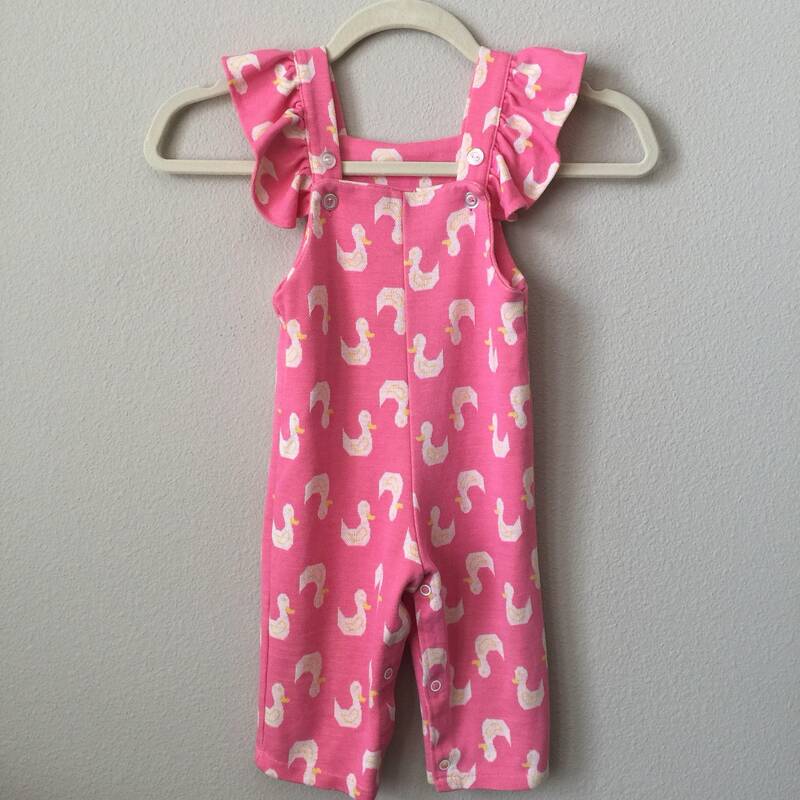 Message us for exact measurements.